Last week I talked about how important it is to have down-time after working hours and that some big companies are taking action as the cost of sickness due to work-stress is getting out of proportion. Not surprising as work-related stress is now being considered one of the biggest health challenges in Europe. In Belgium it is estimated that 2 out of 3 employees are affected by it. The impact of stress on your health, wellbeing and the economy can’t be left ignored anymore with personal suffering, increased sick days and social and economic consequences being very real and present. However and as I mentioned before it is amazing how little effort it really takes to make the difference. 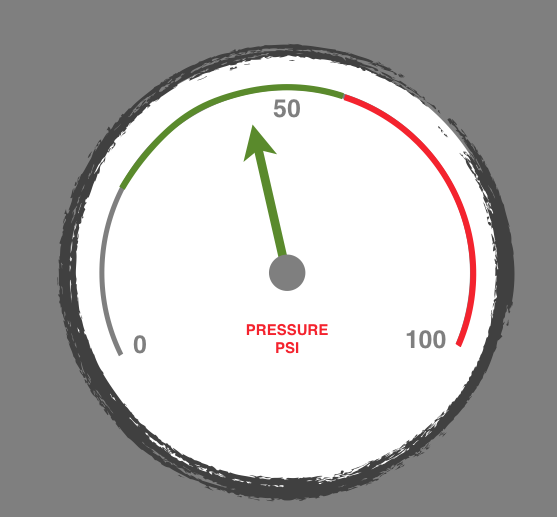 Increased stress level awareness followed by small adaptations to lower the stress response can make the difference between being ailed by stress or living and working with ease. How to recognise that stress has got you in its grip is an important factor to changing the tide. So lets have a look. Emotional signs: Negative thoughts, loss of motivation and mood swings. Behavioural changes: Seep disturbance, increased smoking, drinking or medication intake. Specific work-related stress signs are deteriorating relationships among colleagues, increased staff turnover and numbers of employees being absent due to sickness. Once you recognize that you’re stressed acknowledge it and respond ,don’t let it drag on. Here are some tips to help yourself. Seek professional help when you feel you’re not in control anymore. Take care of your physical and emotional health by learning and implementing daily health promoting behavior. Don’t postpone taking care of your health till it gets calmer at work or at home. That day might never come when you haven’t got your stress levels under control in the first place. Take regular breaks and don’t feel guilty about it. To perform well, regular pauses to clear your mind is not a waste of time as it will make you more and not less productive. When work or your workload gets out of hand talk it over with a colleague. Sharing or connecting with others has proven to be a great way to reduce the pressure. Make sure you take enough time to unwind when the work day is over or at the weekend. Have a look at your diary is there still room for you? With ever changing demands, more to do and less time to do it in…. reflection on how to stay healthy and health promoting behavior isn’t a luxury and must be seen as a personal and social priority. On tommeyers.be you can download a free copy of ‘Reaset: The return of Ease’ with information, exercises and free audio to breathe your stress away and help you to drift into ease. I’m Tom meyers, Osteopath DO, Stress Coach for Body and Mind, Public Speaker and contributor of thought to a healthier way of living and working. 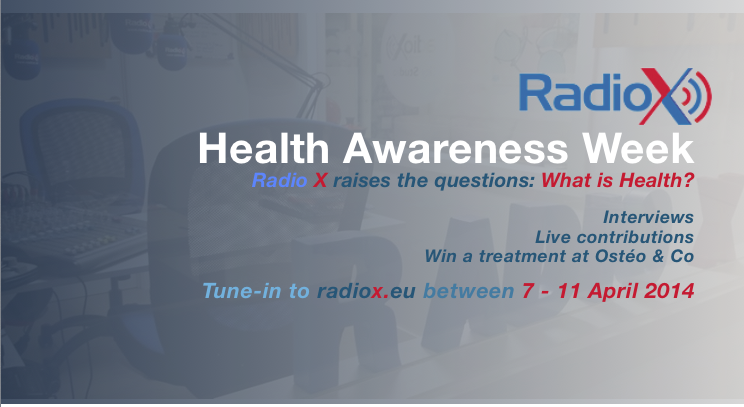 I’m Tom Meyers, Stress Coach and welcome to Health Matters here on Radio X. In Health Matters I take a closer look at the S word that has become one of the biggest challenges to our health and wellbeing STRESS. And this week I like to focus on a the shocking figure of 64. A recent survey organised by the Social Security company Securex and taken from 1.318 employees came to the scary conclusion that 64% of employees in Belgium are faced with stress at work. I say it again 64% that is 2 employees out of 3 and it indicates an increase of stress at work with 18% since 2010. The survey goes further and highlights that in 27% of employees or 1 in 4 that stress at work leads to physical and psychological health problems. Most common problems related to stress at work are tensions, headaches, heart palpitations, insomnia, concentration loss, depressed mood and being angry more quickly. These conditions lead to reduced productivity and creativity but also increased absence at work which lies between 6 to 20 days depending on the severity of the tension that has build up. As an osteopath and stress coach I can’t stress enough how important it is to take stress more seriously as it is effecting us big time socially, psychologically, physically and leaves a big imprint on our economy. Health is something that matters today and can’t be postponed till tomorrow and health promoting behaviour starts with information. You need to get to know what stress is and why it has become a nuisance. Once that is understood you will understand what you can do about. What rests is then taking the time to implement health promoting behaviour and only you can do that for yourself. You’ll be surprised to find out how, just a little investment of your time will make a huge impact. Need ideas then join me at the Understanding and Managing Stress presentation I’m giving for the organisation Professional Women International. It will take place near Montgomery in Etterbeek on the 20th of February. It is an open event and yes you men you are welcome too on this occasion. For more information gort tommeyers.be where you also find the link to download your free copy of ‘Reaset: The return of Ease’ the eBook I’ve written with practical information and easy to implement exercises to keep those stress levels in check. And if you haven’t done so already pick up your copy of Together Magazine today where you’ll find last weeks episode of Health Matters and some great ideas and discounts on Health Promoting activities. I’m Tom Meyers, Stress Coach for Body and Mind and contributor of thought to your health and wellbeing. I’m Tom Meyers, Stress Coach for Body & Mind and welcome to Health Matters here on Radio X. In Health Matters I take a closer look at the S word that has become one of the biggest challenges to our health and wellbeing STRESS. And this weeks episode is a very special as you will find the complete text as an article in the February edition of Together Magazine (#45, February 2014) which is handed out for free around the eu institutions. Stress is a constant factor in our modern life. With increasing demands at work, social and personal challenges, extensive to do lists, pressures and time constraints, we have pushed our body unwillingly over the tipping point of self-regulation. In other words our modern non-stop lifestyle makes us sick. Like a thief in the night, stress robs you from your health and wellbeing. The good news is that health is in your hands. You yourself can make the difference and help yourself and others to live fully with a healthy stress-ease balance. The first step towards that balance is knowledge… knowing the basics of what chronic stress is as stress itself is not the problem but when it becomes a constant in your life it will. Chronic stress on a biological level is when your autonomic nervous system is in a constant fight and flight mode and your relaxation and regeneration mode in other words your healing mechanism is switched off…. To give health a chance the solution is very logical start implementing behaviour that activates that relaxation response and thus allow your body to the time to heal. Yep in theory it’s that simple and you are the key. How do you activate that relaxation response? Well as you are unique that question is a really difficult one to answer. But think about what your body needs to really relax, recuperate and regenerate. Sometimes it might be that it is just doing nothing and by not feeling guilty about it. Think and analyse all those things you say you should do but don’t when it comes to health promoting behaviour. What upsets you but are you still doing to please others? What’s your mindset like? Work, we all have to do and changing jobs isn’t always an option but how can you improve your current job situation is it causing you stress? Over what aspect of your social or personal life or work don’t you have control? How can you gain more control over that situation? All of these questions are important to look at if stress has gotten under your skin. Yes it takes time … and yes you might need some help with it. Don’t and… well I think you get the picture. But before you begin on an introspective journey I really recommend that you start to practice a breathing exercise. It is scientifically proven that practicing breathing exercises 3 times a day contributes to health and a feeling of wellbeing. On tommeyers.be you can download your free copy of ‘Reaset: The return of Ease’ an eBook with practical information on how the breathe your stress away. Why has stress become such a problem for your health, relationships and our economy? An instinctive biological survival response Stress is an autonomic response to stressors, resulting in biological changes that have an impact on your physical, mental and emotional wellbeing. Stressors are a wide range of stimuli from thoughts to arguments, emails or phone calls to traffic, work or environmental pollution. Stressors activate the sympathetic nervous system, the section of your autonomic nervous system that makes you alert, that tells you to fight or flee in order to protect you from danger. While this system is activated, the parasympathetic nervous system – which is all about relaxation, recuperation and regeneration (in other words it’s the rest and healing module) – is inhibited. Why has stress become a nuisance? Stress is the conflict between biology and culture I invite you to have a look around you and notice the tools and gadgets you’re surrounded with in your office or at home. Why did we make all of these fabulous things? Wasn’t it so you had more time to relax, make life easier? However, what are you doing with the time given to you: work, check emails, sit on the sofa and watch TV, or rush around? What’s your pace of life and lifestyle? Do you work longer hours, move less often, worry more? Is there still time for you to unwind, to let your body recuperate and regenerate from the efforts it has been through and replenish its resources? A cheetah can run at 100 km per hour but only for 30 seconds. It can only pull off an effort like that twice a day and to be able to do that it needs to rest for the rest of the day to recover. How much time do you spent recovering? Or do you feel guilty as so many of us do when we’re doing or seem to be doing nothing? A client told me she could not take time out from working to practice a three-minute breathing exercise three times a day. She looked at me as if I was from another planet when I asked her why she didn’t go outside with the smokers when they went on their breaks? She said: “Oh, no I couldn’t do that, what would they think of me?” I was dumbfounded. Smokers are encouraged to go for a walk, to go outside and they take time-out, albeit breathing in polluted air. To go out and breathe fresh air for health reasons has become unacceptable behaviour!? How did things get this way? Why do we feel guilty when we’re doing nothing, even though it is an essential part of healthy behaviour? Stress has become a nuisance. Seen from a biological perspective there is no longer naturally occurring means of stimulating relaxation, regeneration and recuperation. We are always ‘switched on’, in a fight or in flight even when there is no immediate danger. This leads to a chronic increase in heart rate, blood pressure, respiration rate and muscle tensions – especially in neck, back and shoulders. It reduces blood flow to your stomach and digestive system, lowers immunity, makes you more on edge and anxious, lowers your concentration levels and creativity – to name but a few. Over time, chronic stress can lead to depression and burn-out. And all the while that sympathetic nervous system is active, your parasympathetic nervous system (your healing system) is defective. Stress, what can you do about it?